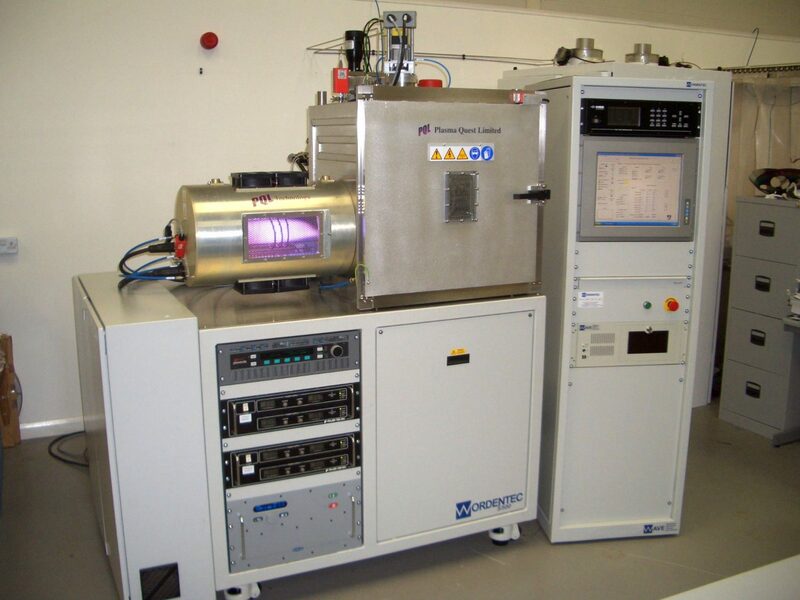 The S500 thin film sputter deposition system is capable of producing a wide range of semi-conductor, metallic and dielectric coatings at high rate. As with our other vacuum sputter coating systems, the S500 incorporates our patented high density remote plasma technology (see HiTUS). The S500 sputter deposition tool is fully automated resulting in stable and repeatable depositions with the press of a single button. This makes the S500 especially suited to depositing multilayer structures where precise control over numerous deposition variables is essential for the fabrication of multiple thin films with run-to-run consistency. Despite this automation, the S500 retains all the flexibility of a research and development tool allowing the user to adjust any deposition parameter throughout the duration of a complete coating. If further control is required a full manual mode is also available. The user interface is a single touch screen with multiple tabs for control/viewing of all process and vacuum related variables. A total of 28 deposition parameters (including sputter, vacuum and system related measurements) are recorded and logged at user defined intervals allowing detailed post deposition analysis of any given process. A real-time chart also plots any four deposition variables during the course of a coating. The S500 system we have at PQL incorporates a 600 cm3 stainless steel vacuum chamber evacuated by an Edwards STP1003C magnetically levitated turbomolecular pump which is backed by an Edwards QDP40. Three separate mass flow controllers regulate the flow of Argon, reactive (oxygen or nitrogen) and toxic (hydrogen sulphide) gases into the deposition chamber. It is a four target system allowing for the production of complete multilayer devices without having to break the vacuum by venting. The targets are mounted into a stainless steel electrode via copper baking plates with only one target at a time ever exposed to the plasma. The remaining three targets are covered by an Earth shield and hence do not sputter. When changing to a different material, the power to the targets is turned off and the entire assembly is rotated such that the plasma addresses a different target. A rotating and heated substrate platform is located above the targets. Typically, heating is not used during the deposition of our coatings as most of our work is aimed at the flexible plastic electronics market. The position of both the targets and the substrate assembly may be adjusted in order to optimise not only coating quality but also uniformity and deposition rate. Different configurations of the S500 are also available and each system is tailored to individual customer requirements. For example, a different pumping arrangement, chamber size and substrate/target configuration can easily be accommodated.